A performative action taking an individual private process (heartbreak) and making it public and collective. Acknowledging a universal aspect of the human condition; that we all get our hearts broken. Club meeting. Advertised though local newspaper, flyers and posters throughout the local area. 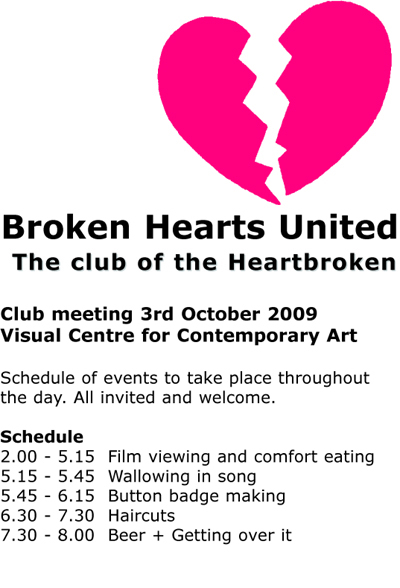 Schedule of events to take place throughout the day of typical / stereotypical behaviours of the heartbroken.